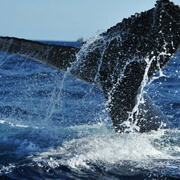 Join us for this amazing whale watching tour where you will be able to observe massive Gray whales in the morning when they are most active. Your journey will begin with a complimentary breakfast, and will also include champagne mimosas, music and games to make this tour exceptionally enjoyable! 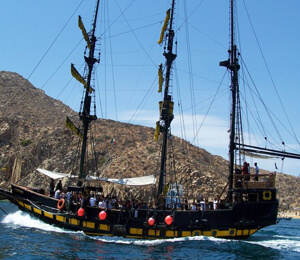 Prepare to go on this memorable whale watching tour aboard the Buccaneer Queen, which is reminiscent of a genuine pirate ship. 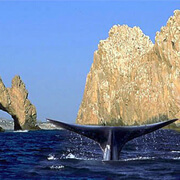 From this incredible vessel you can observe the majestic Humpback and Gray whales in the crystal blue waters off of Cabo San Lucas. After leaving Cabo San Lucas' downtown marina, this snorkeling adventure will voyage along the most picturesque seaside sights off the coast of Los Cabos. 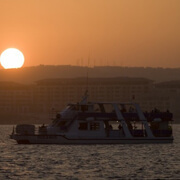 This trip on the beautiful waters of the Sea of Cortez gives passengers a perfect view of this vacation paradise. Located on the southern tip of the Baja Peninsula at the convergence of the Sea of Cortez and the Pacific Ocean, Cabo San Lucas is the ideal vacation destination for eco-enthusiasts. Our naturalist guides will lead you on a marine excursion to see amazing Gray Whales in their native environment. Every winter, these massive cetaceans migrate from the chilly waters off Alaska to the Bays along the Mexican Pacific and the Sea of Cortez. You may also have the opportunity to see other marine mammals such as Humpback Whales, Sea Lions, Spinner Dolphins, Bottlenose Dolphins, and Spotted Dolphins. You will never forget the once-in-a-lifetime experience of witnessing these majestic animals in the wild. 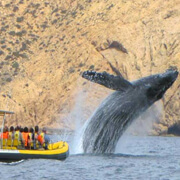 Our professional crew takes pride in providing fun-filled, educational, safe, and comfortable eco-tours in the cerulean waters of the Sea of Cortez. 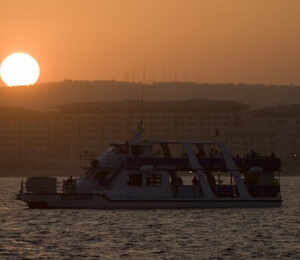 Our English-fluent captains and crew are thoroughly trained and licensed by the Mexican government. All of our vessels are meticulously maintained and inspected to ensure a safe and enjoyable whale watching adventure. 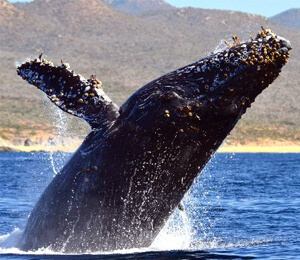 If you are looking for a thrilling Whale Watching tour while on vacation in Cabo San Lucas region, look no further than this comprehensive website. 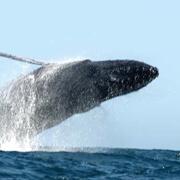 We have conveniently listed every type of Whale Watching excursion available in the area. 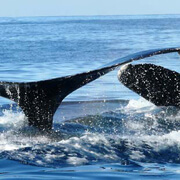 Peruse the in-depth descriptions, compare the different tours, and decide which Whale Watching adventure best suits you and your family. We offer smaller, more intimate tours on zodiacs, large tours on motorized catamarans, sailing excursions, sunset escapes, and even pirate-themed adventures. 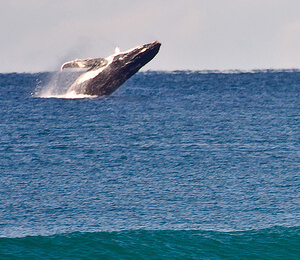 Our friendly personnel are available to assist you in choosing the ideal Whale Watching Adventure to suit your needs. If you still have any unanswered questions, don't worry, our knowledgeable Cabo San Lucas vacation experts are just a toll free phone call away. If you've already chosen a tour, we can take your reservation over the phone. 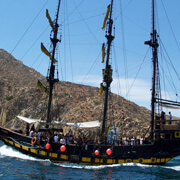 Even if you only stop in port at Cabo for just one day, you can still enjoy the best attraction around Cabo San Lucas. 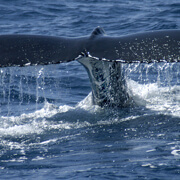 We have plenty of fabulous Whale Watching adventures that will even fit into a cruise ship stop-over schedule. Don't miss the opportunity to witness these beautiful creatures in their native environment. We can provide transportation to bring you back to your ship with ample time to spare. Just a friendly reminder:Some cruise lines do not adjust their schedule times to local Cabo San Lucas time. So please first check with your cruise ship representatives to make sure your itinerary matches the Mountain Time Zone.